Useful information - aikido-frankfurts Webseite! A warm welcome and thank you for choosing to train with us. We look forward to welcoming you in our dojo. Some things may appear strange or unfamiliar to start with, like the unusual clothes or the use of Japanese expressions. We encourage everyone to learn at their own pace, no matter whether you have experienced Aikido before or not. Our handbook (available in German) enables quick orientation and can be downloaded by clicking on the button below. It is meant to aid for a longer period, therefore information for absolute beginners as well as advanced Aikidoka is contained. Some information will be understood immediately, some will take longer to understand. If you have any questions, please do not hesitate to ask. We hope you have lots of fun and look forward to seeing you there! Many members of Aikido Frankfurt, those who practice aikido actively, are parallel members in the SG 1877 Frankfurt-Nied and built there a part of the aikido section. All those who want to participate in active training, must also apply for membership in the SG 1877 Frankfurt-Nied. More information and the registration form for SG 1877 Frankfurt-Nied can be found on the website: www.sgnied.de. Informations and the registration form auf Aikido Frankfurt can be bound below. 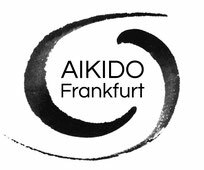 The membership of Aikido Frankfurt can be cancelled with effect as per the end of the following calendar quarter by giving six weeks' written notice. Termination of the membership of SG 1877 Frankfurt-Nied can be cancelled on June, 30th or December, 31st of each year. In such a case, please give a written notice of termination with a period of notice of six weeks directly to the SG 1877 Frankfurt-Nied.